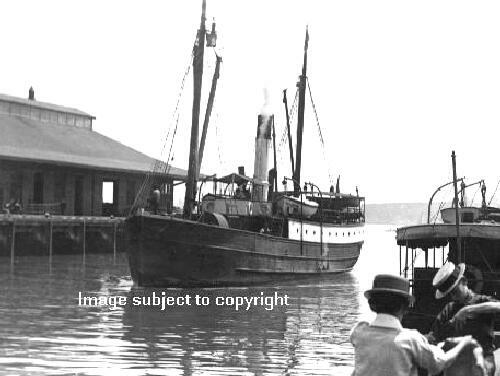 WAIMARIE approaching Kings Wharf, Auckland from Paeroa in 1914. 1893 built for Northern Steam Ship Company Ltd. Fitted with two A. & G. Price compound engines, she was used on the Paeroa run.